Nanay's Trip event alert Nanay's Trip run for a cause Run for a Cause. 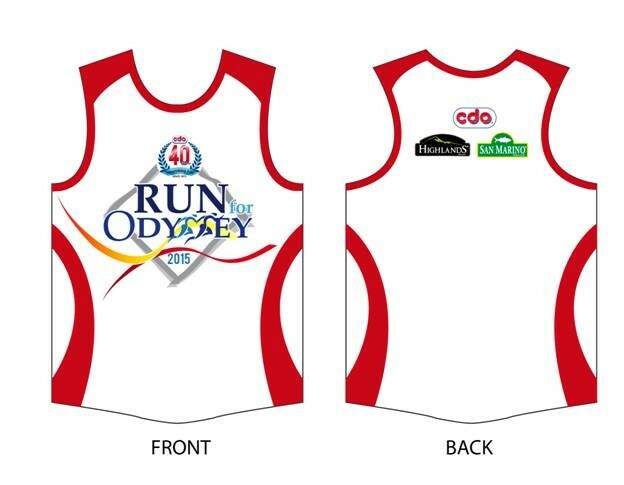 Join the CDO@40: Run for Odyssey on November 8! Run for a Cause. 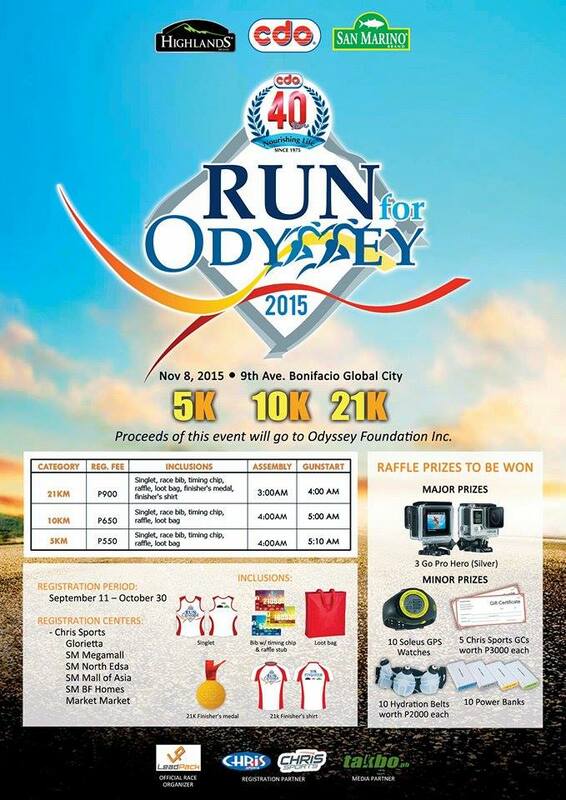 Join the CDO@40: Run for Odyssey on November 8! I am joining a 5K run in November. Am I serious? My last run at the Ayala Triangle Gardens became an instant night stroll with my friends. Worse, we capped that night with non-stop chats and deadly carbo loading. I ended up not only eating the burgers but my pledge to start a healthier lifestyle. I was a bit hesitant to attend the Run for Odyssey media launch for bloggers for the simple reason that I am not a runner. I felt I wasn't fit to write about a running event when I can't even take a health project seriously. On the other hand, this event could make me finally take the leap to a fit and healthy lifestyle. I'm not getting younger and I need to take care of my health not only for myself but for my family as well. And I was glad I joined the launch. 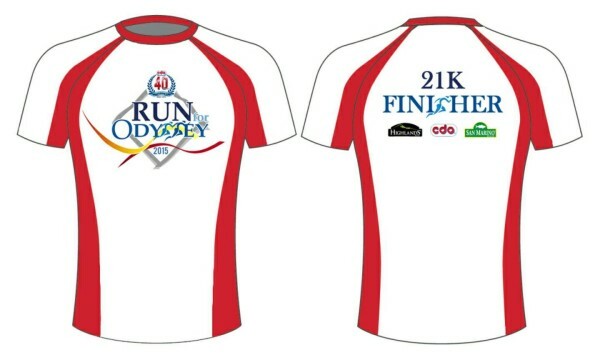 Run for Odyssey is organized by CDO Foodsphere Inc. to celebrate good health. CDO is the maker of San Marino tuna, corned beef and many other food products. CDO people who were present in the launch shared how the company's running event became a yearly tradition for the employees and their families. They decided to mark their 40th year with a bigger celebration and organized the yearly run way beyond their company's gates in Valenzuela City. With the help of LeadPack, one of the leading race organizers in the county, Run for Odyssey will take place in Bonifacio Global City with 3,000 runners expected to join the event. What makes this run different? Takbo.ph founder Jinoe Gavan explained the interesting route of the race which includes a chance to run along Kalayaan flyover. 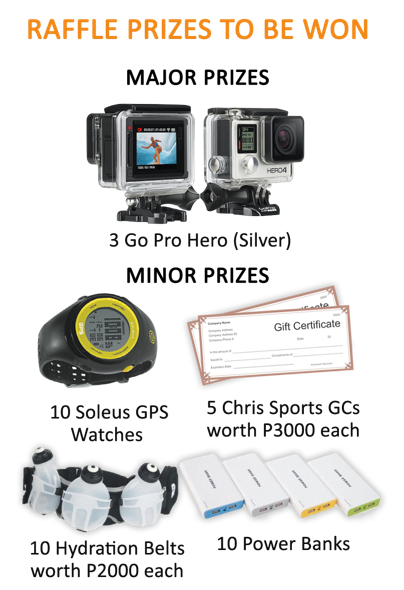 There are also lots of raffle prizes to be given away to lucky runners. Participants are also given the chance to run for a cause and contribute to Odyssey Foundation, a non-profit organization which organizes projects specifically for malnourished children. Proceeds from this running event will go directly to Odyssey Foundation's feeding and health programs for their beneficiaries. Join the CDO@40 Run for Odyssey this November 8. Registration period is from September 11 to October 30. See you at the 5K starting line! This is it! Included in the registration fee is the singlet and race packet (bib, timing chip). Finishers will get lootbag, finishers medal and shirt (21K).